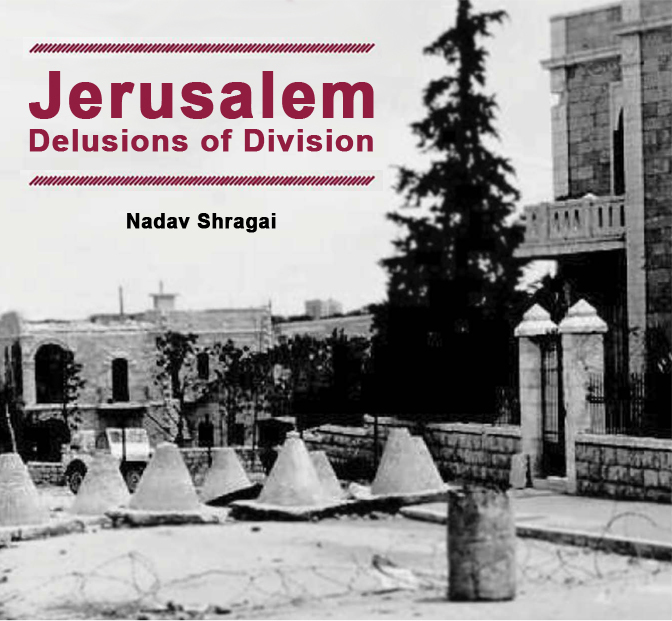 This book, which deals with the future of Jerusalem, was first published seven years ago with the title The Dangers of Division. After a wave of extreme Palestinian violence that centered on Jerusalem,2 it was rewritten in 2015, considerably expanded, and updated with data, facts, analyses, and conclusions. A wave of violence, which came to be called the “Jerusalem Intifada,” occurred mainly along the seam line between the Jewish and Arab neighborhoods, in mixed residential areas, and on the Temple Mount compound, which again became a focal point of incitement and calumny.3 Beginning on July 2, 2014, thousands of incidents of disorder and attacks on Jews were recorded in the city, including vehicular assaults and homicide, stabbings, and shootings, reaching a peak in mid-November with the massacre of worshippers at a synagogue in the Har Nof neighborhood. In these incidents 10 Israelis were murdered and dozens wounded, some seriously. Six Palestinian terrorists, who were among the perpetrators of the attacks, were also killed. A Palestinian demonstrator was killed as well, and Muhammad Abu Khdeir, a youth from the Shuafat refugee camp, was kidnapped and murdered by Jewish terrorists. (This was a reaction by Jewish extremists to the kidnapping and murder of three Jewish teenagers in Gush Etzion. )4 The murderers of Abu Khdeir were apprehended and are now awaiting trial. Jerusalem’s role as the hub of the conflict has prompted renewed discussion of the status of the east Jerusalem Arabs and the future of the united city. The demand has again been raised, particularly by left-wing movements like Ir Amim and Peace Now, that the city’s division be adopted as a policy goal. Behind the scenes, research institutes and political actors also deal constantly with the issue. Actual negotiations on dividing Jerusalem have been held twice in the past.5 The first instance was in December 2000, when, as part of the process launched by the Camp David Summit, U.S. President Bill Clinton presented an outline for the division of the city. The second instance occurred at the end of 2007 in connection with the Annapolis Conference, when then-Israeli Prime Minister Ehud Olmert and Palestinian Authority Chairman Mahmoud Abbas discussed a proposal for a solution in Jerusalem. A few months after the conference, Olmert presented Abbas with a map that outlined the division of the city. In both of these cases, basic agreement emerged on the division of sovereignty in east Jerusalem on a demographic basis, with the Jewish neighborhoods under Israeli sovereignty and the Arab ones under Palestinian sovereignty. In both cases, no accord was signed because of widespread opposition, Palestinian and Jewish, to a division of the city on such a basis, and because of disagreement on several issues concerning Jerusalem. Even though, for years, a majority of the Israeli public has opposed dividing Jerusalem,9 supporters of a division make two main claims in its favor, one demographic and the other involving security. The former concerns the need to maintain the Jewish majority in the city by “subtracting” its Arab neighborhoods and residents. Such a “separation” is presented as inevitable in light of the ongoing shrinkage of the Jewish majority and the possibility that this trend will further accelerate. The security argument is raised against the backdrop of the waves of violence and terror that periodically issue from east Jerusalem’s Arab neighborhoods. A separation in the form of a division, so it is claimed, will enhance the security of the city’s Jewish population. This book will address these two arguments and refute them. Dividing Jerusalem and subtracting its Arab neighborhoods from it is, in fact, likely to cause much worse security problems and hamstring the ongoing, sophisticated, cooperative work of security forces and intelligence in thwarting Palestinian and Islamic terrorist attacks. Furthermore, a division of the city is likely to diminish Jerusalem’s Jewish majority. The demographic problem indeed exists, but I will propose various ways to address it that avoid the dangers of division. The focus needs to be on the essence of the problem: the departure from the city of large numbers of Jews (18,000 per year). This entails preventing the phenomenon and changing the city’s negative migration balance to one that is even, or perhaps positive. To those who formulate the policies and make the decisions, this book offers a basic “toolbox” that can help to achieve that goal. 1. The subtraction of Arab neighborhoods from the city was already done de facto in 2005, though in limited fashion, by building the security fence along the northern stretch of the “Jerusalem envelope.” Because they lived outside the boundaries of the city and feared losing their resident status and the many benefits entailed by it, tens of thousands of Palestinian residents opted to move to the Israeli side of the fence. 2. If and when the fence is moved farther west, south, and north toward the Jewish neighborhoods, Israel will, for the same reason, have trouble preventing a similar migration wave into its territory. Even from their own standpoint, the “dividers,” too, stand to lose out when the migration goes straight into the Jewish neighborhoods, not just into the Arab neighborhoods within Israeli territory. 3. Jerusalem was already divided once, at the time of Israel’s establishment; the result was that many of its neighborhoods became border communities. About one-fourth of the Jewish population then left the city. An analysis of the facts and the trends, both on the Jewish and Arab sides, shows that this phenomenon will probably recur in the case of another division, with a large number of Jews likely to leave the city. 4. Thus a division can be expected to bring tens of thousands of Arabs into Jerusalem, and to cause tens of thousands of Jews to flee from it. 5. The main reason the Jews are at an ongoing demographic disadvantage in Jerusalem is the Jewish population’s negative migration balance. Each year about 18,000 Jews leave the city while only about 10,000 come to live in it. Over the past 22 years, about 370,000 Jews have left the city. 6. In recent years, the “Jewish side” in Jerusalem has taken a lead over the “Arab side” regarding natural growth and fertility rate, thus reversing the trend. At the same time, this change cannot ensure a renewed growth of the Jewish majority if the Jewish population that is thereby added to the city will not have somewhere to live. 7. The main reason so many Jews leave is the grave shortage of housing along with the high prices of the little housing available. Over the past decade, about 2,000 apartments have been built in Jerusalem per year, while annual demand comes to over 4,000 apartments. This paucity of building is brought about by political pressures, on the one hand, and efforts by green groups, on the other. 8. Dozens of government decisions that were intended to strengthen Jerusalem and attract population to it have remained on paper or only partially been implemented. These involve financial benefits and incentives that were intended to make living in Jerusalem worthwhile and to make enterprise in the city especially profitable. 9. Halting the process of emigration from Jerusalem is not possible without multiplying the annual building of dwellings and implementing numerous government decisions aimed at attracting population to the city. a. Carrying out the government decision to build a bedroom suburb, which would, de facto (administratively), add about 120,000 Jews to Jerusalem. Hence, these would be included in any count of the city’s residents. b. Creating a separate local authority, under Israeli sovereignty, for the residents of the Arab neighborhoods in northern Jerusalem that remained “outside the fence,” and de facto – outside of Jerusalem. The establishment of such an authority would formally subtract tens of thousands of Arabs from the city’s territory, without revoking their residency cards or compromising Israeli sovereignty over the area, while allowing, on the one hand, the municipality’s economic burden to ease and, on the other, the economic benefits for the residents to grow. c. Easing the conditions for retaining the resident status that east Jerusalem Arabs now enjoy, even if these “residents” actually live outside the city. Such a measure would leave numerous Arab residents outside the city, and they would not trouble to return to it since they would not fear losing their rights. 1. Even after the division of the city, numerous Palestinians will remain strongly motivated to carry out terror attacks and to shoot at Jewish neighborhoods in divided Jerusalem. After division, the Jewish targets will be much closer and more accessible, with varied ways of attacking them available. At the same time, thwarting shootings and terror attacks will be much more difficult. The Palestinians’ access to weapons and munitions will also increase. Sign: Danger! Enemy territory ahead. Do not cross! 2. Division will expose hundreds of thousands of Jews along the new border to a very real threat of light-weapon and machinegun fire, from ranges of dozens to hundreds of meters – the distance between the Arab neighborhoods and the Jewish ones. In the past, Palestinians fired at similar ranges from Beit Jalla and Bethlehem into the Gilo neighborhood. This continued on and off for about four years. A line of division whose estimated length is 46 kilometers will expose a Jewish population in a much wider area to a much greater magnitude of incidents. 3. Division will probably also expose Jerusalem neighborhoods to mortars and rockets, which the Palestinians are already trying to smuggle into the West Bank, while also working on developing and manufacturing them within the West Bank. The most active organization in this field is Hamas. Senior Hamas leader Salah al-Aruri has referred to this quite explicitly. a. The majority of Palestinians in Judea and Samaria have attested over the years (in repeated surveys) that they support terror attacks in Jerusalem and have not given up on the “right of return” or on the “phased plan,” including with regard to Jerusalem. Representatives of the Palestinian Authority (PA) have also prepared lists of “Arab property in west Jerusalem” (7,000 structures) that they seek to “return” to the Palestinians. b. In recent years, the power of the PA and Fatah in Jerusalem has waned, whereas that of Hamas and Hizb ut-Tahrir, which oppose any compromise in the city, has grown. c. In the not-so-distant past, the PA was fully complicit in terror and did not act to prevent it. Even today the PA’s cooperation in preventing terror is limited, reflecting its need to maintain internal Palestinian unity as well as reasonable relations with Hamas. 5. For years, Jerusalem has been a preferred target for terror because of its central role in the conflict. This was well evident during the Second Intifada, the more recent “Jerusalem Intifada,” and in many other periods. 6. The east Jerusalem Arabs, whose role in terror in Jerusalem, until a few years ago, was mostly that of accessories (gathering intelligence and choosing potential targets), have in recent years played a key part in directly perpetrating terror attacks in the city. In that regard their role has grown considerably. a. It can thwart light-weapon fire from these neighborhoods at Jewish neighborhoods. This danger materialized, as noted, during 2000-2004 when there was ongoing fire from Beit Jalla – a Christian town from which Israel had withdrawn as part of the Oslo 2 agreement – at the adjacent Jewish neighborhood of Gilo. During the “Jerusalem Intifada,” however, the shooting incidents from the Shuafat refugee camp at the Pisgat Ze’ev neighborhood were few in number, and the shooting was not systematic. The reason for the difference: an Israeli presence, albeit under various restrictions, in Shuafat, in contrast to the lack of an Israeli presence in Beit Jalla. Clearly Israel’s control of the Arab neighborhoods of Jerusalem is essential for security and intelligence purposes. b. In recent years, dozens of east Jerusalem Arabs have committed severe attacks in the city. However, far more attacks – numbering in the hundreds – were foiled thanks to the Israeli intelligence and security presence in the villages and neighborhoods of east Jerusalem. Dividing the city will put an end to a security and intelligence presence of this kind. c. In the past, the security forces’ withdrawal from towns in parts of Judea and Samaria led to a rise in terror attacks on nearby Israeli targets. The classic example is the town of Bethlehem, which the IDF withdrew from and reentered numerous times. When the IDF was “outside,” Bethlehem-based terror in Jerusalem spiked. When the IDF was “inside,” it declined considerably. 8. Dividing the city will mean that many of the Jewish neighborhoods will become border communities. As we have already seen, tens of thousands of their Jewish residents are then likely to leave them – and Jerusalem as well. 9. Dealing successfully with the terror threat, from which Israel has suffered in recent years, precludes any form of division of the city. The same pertains to threats of war. In a time of war, defending the city against armies requires the control of even wider territory than the existing jurisdictional boundaries. 1. Precedents from the past, both distant and recent, raise serious concern about freedom of access and worship in the holy places, both for Jews and Christians, in the PA or a future Palestinian state, or adjacent to it, or in areas with a large Palestinian population. Were the city to be divided, this fear would become very real. Jerusalem, which, of course, is sacred to the three monotheistic religions, includes hundreds of Jewish, Muslim, and Christian holy places, most of all the Temple Mount, the Western Wall, and the Church of the Holy Sepulchre. A division of Jerusalem would probably leave many Jewish and Christian holy places in the Palestinian part of the city, posing a danger to access and freedom of worship. Even the Jewish and Christian holy places that would remain in the Israeli part of the city would likely suffer various kinds of attacks, and the access routes to them, or to some of them, could well be under Palestinian control. 2. As far as the Jewish interest is concerned, such fears are augmented by the attacks, desecrations, and harassments to which Jewish holy places have, over the years, been subjected by the Palestinians. That includes places within Palestinian territory, adjacent to it, and within Israeli territory. Although, in the third category, the Israeli presence has helped counteract the problem, it has not been enough to eliminate it. These sites under Israeli control include the Temple Mount, the Western Wall, the Mount of Olives, Rachel’s Tomb, Joseph’s Tomb, and the ancient Shalom Al Yisrael Synagogue in Jericho. The Oslo 2 agreement specified another 23 Jewish holy places to which the Palestinians were to ensure freedom of access. In practice, though, they made access to these places very difficult or denied it completely. It is also worth noting that, over the past decade, attempts to leave security at the Temple Mount in the PA’s hands for a few days failed, resulting in riots and attacks on Jews praying at the Western Wall. 3. As far as Christian holy places are concerned, there have been numerous testimonies of Muslim harassment of the Christian population both in the PA and under Hamas rule in Gaza, leading many of these Christians to emigrate to Europe, South America, or the United States. A process of that kind has occurred in Gaza, Bethlehem, Beit Jalla, and Ramallah, just as it has been occurring for years in Muslim Middle Eastern countries such as Syria, Egypt, Lebanon, or Iraq. With organizations like Islamic State gaining power, the situation can only get worse. 4. Ongoing Islamic attacks on Jewish and Christian holy places do not only stem from intolerance; they also are inspired by Islam’s basic religious and ideological hostility toward two religions that Islam considers “inferior.” Numerous Islamic statements in recent years have linked Judaism and Christianity together as adversaries of Islam. 5. The Palestinians have used Christian holy places for their armed struggle and intifadas against Israel. During the First Intifada, Christian holy places were desecrated as well. During Israel’s Operation Defensive Shield against the terror of the Second Intifada, wanted Palestinian terrorists took refuge in Bethlehem’s Church of the Nativity. The firing from Beit Jalla was sometimes done from churches in order to make it more difficult for Israel to respond. 6. Israel, for its part, has ensured freedom of access and worship at the Jerusalem holy places. Christians have enjoyed full freedom and so have Muslims, except when they have used their holy places to launch disturbances, riots, or terror attacks. Jews, too, enjoy freedom of access and worship at their holy places, with the exception of one place that is also holy to Muslims – the Temple Mount. Visits by Jews there are restricted, and they are not allowed to pray there. Israel’s sensitivity to Jerusalem’s Muslim holy places has been so great that Israeli law has only been minimally applied to the Temple Mount. During the War of Independence, David Ben-Gurion went so far as to order Israeli forces not to return fire against the Temple Mount, even when the Jewish Quarter’s civilian population came under fire from it. 1. Dividing Jerusalem is very difficult to impossible on the practical level. Insisting on division is likely to entail a high price for the city’s residents, dissolve many patterns of unity that have emerged in the city, and damage the existing urban fabric in a number of ways. 2. Along with the political and religious conflict over the city, over the years many “mixes” and patterns of Jewish-Arab cooperation have emerged in the city in areas of commerce, employment, tourism, business, health, and leisure. Likewise, despite clear disparities in levels of service and infrastructure between different parts of the city, at present Jerusalem enjoys common networks of infrastructure in the areas of transportation, water, electricity, telephone, sewage, and health. Separating out such networks is hard to do, and perhaps impossible, without causing suffering to the city’s residents. 3. Eighty-four percent of east Jerusalem Arabs were born into the reality of a single city and have no memory of the reality of a divided city. This has contributed to processes of “Israelization” that they have been undergoing in recent years. Among other things, there has been a notable increase in the numbers who request Israeli identity cards, Israeli matriculation exams, and registration for Israeli academic institutions. There has also been a rise in volunteering for national service among east Jerusalem Arabs. An intensive survey conducted a few years ago in 19 east Jerusalem neighborhoods found that in a final-status settlement, more Palestinians in Jerusalem would prefer to remain under Israeli rule than move to the Palestinian state. The survey also found that if a division were to occur, many east Jerusalem Arabs would move into Israeli territory. 4. A division along the lines of the “Clinton Parameters,” or even under more moderate, less radical, terms, will likely return Jerusalem to the situation of a “border town” and not only cause severe security problems for its residents, but economic collapse as well. Division would probably seriously deplete tourism on the Israeli side since the main tourist and religious sites would likely remain on the Palestinian side. 5. The east Jerusalem residents’ fear that their resident status would be revoked, since they would be living outside the city, has led many of them to move to west Jerusalem. That trend could be moderated by easing the conditions for holding a residency card. 1. The Basic Law: Referendum that the Knesset passed in 2014 further constrains the Knesset’s ability to cede territories in Jerusalem. 2. Separation from Arab neighborhoods cannot prevent the Arab residents from exercising their right as residents to move to west Jerusalem or anywhere else in the country, should they wish to, before the separation. Although this book explores the practical implications of dividing Jerusalem, it begins on the level of values and allegiances. There is no point in knowing about the dangers of division without first – however succinctly – answering the question: “Why Jerusalem?” Why, as Jews, should we care about the city and its integrity? The next chapter reflects the fact that, along with the struggle over the territory, a different sort of struggle is being waged in Jerusalem. The Muslims unequivocally deny the Jewish connection and right – religious and historical – to Jerusalem and its sanctity. They rewrite the city’s history so as to turn the tables and portray Islam as having preceded Judaism in Jerusalem. The Muslims also deny the existence of the Temple. The chapter briefly describes this web of falsehoods and contrasts it with the Jewish right and precedence in Jerusalem, which is interwoven with the Jewish people’s history, ancient writings, way of life, and yearnings. One cannot base an argument for Jerusalem solely on security imperatives. Claims must be based, as most Israeli governments and Zionist leaders have done, on the Jewish people’s right, connection, and commitment to Jerusalem. Although the professional and practical analysis offered in this book stands by itself on solid empirical grounds, it cannot be detached from a worldview and a cause. 1 The author would like to thank those persons at the Jerusalem Institute for Israel Studies who helped establish this book’s factual underpinnings and offered useful comments during the gathering and updating of the material for the book in its two versions: Meir Kraus, current director of the institute; Dr. Israel Kimchi; Dr. Yitzhak Reiter; and Dr. Maya Hoshen, who agreed, this time as well, to peruse the chapter on demography and correct errors. I also thank Prof. Rafi Israeli for his help. Of course, none of these individuals is responsible for the contents of the book, how they are presented, or the opinions that emerge from them. 2 For more on the events of the “Jerusalem Intifada,” including data on it, see, for example: issues of “Yom Shishi” (“Friday”) of Yediot Aharonot from July, August, September, and November 2014, ongoing reports in Haaretz from that period, and a series of articles by this author that surveyed the violent incidents in Jerusalem and were published in the “Israel Hashavua” (“Israel This Week”) supplement of Israel Hayom on: July 18, September 12, September 19, October 24, and November 7, 2014. 3 For more on the Temple Mount incidents, see an overview of the status quo on the Temple Mount (Hebrew): http://jcpa.org.il/article/%D7%94%D7%A1%D7%98%D7%98%D7%95%D7%A1-%D7%A7%D7%95%D7%95-%D7%91%D7%94%D7%A8-%D7%94%D7%91%D7%99%D7%AA. 4 On June 12, 2014, Palestinian terrorists of Hamas kidnapped three Israeli teenage boys in Gush Etzion and murdered them that same night. Following an extensive search effort the bodies of the three – Gilad Shear, Naftali Frankel, and Eyal Ifrach – were found on June 30 west of the town of Halhoul, 18 days after the kidnapping. 5 For a detailed look at the subject of the negotiations on Jerusalem, see Lior Lehrs, “Masa u’Matan al Yerushalayim: Iyun b’Tahlichei Hamasa u’Matan ha’Yisraeli-Falestini b’Sugiyat Yerushalayim 1993-2011” (Negotiations on Jerusalem: A Consideration of the Israeli-Palestinian Negotiation Processes on the Jerusalem Issue 1993-2011), Jerusalem Institute for Israel Studies, 2013. 6 Channel 2 News, “Benjamin Netanyahu: Yerushalayim l’Olam Lo Techulak” (Benjamin Netanyahu: Jerusalem Will Never Be Divided), May 21, 2009. 8 Liberman made such a statement during a visit to the City of David at the beginning of the 2000s; I was present and heard him. Herzog’s statement was made in an interview to Ynet on December 6, 2013 (Hebrew): http://www.ynet.co.il/articles/0,7340,L-4461882,00.html. Livni was part of the Olmert government while it conducted negotiations on Jerusalem. 9 A survey conducted in October 2014 by the Shvakim Panorama institute for the Jerusalem Center for Public Affairs included the question: “Do you support or oppose the establishment of a Palestinian state if the precondition for it is a division of Jerusalem?” Seventy-six percent responded that they opposed it.